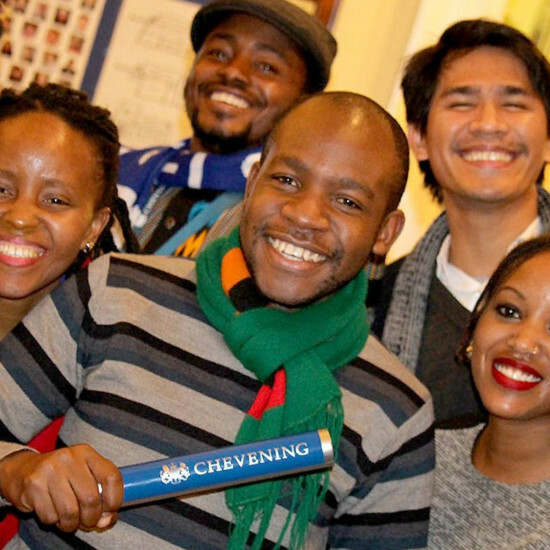 Chevening is the UK government’s international awards scheme aimed at developing global leaders. Funded by the Foreign and Commonwealth Office, Chevening Scholars and Fellows are personally selected by British Embassies and High Commissions throughout the world. The institute offers a unique opportunity for future leaders, influencers, and decision-makers from all over the world to develop professionally and academically, network extensively, experience UK culture, and build lasting positive relationships with the UK. The Chevening Relay was introduced in 2015 to encourage students to collaborate, network, travel, be creative and take collective responsibility for a common goal. Touch of Ginger was invited to supply three special relay batons in blue, red and gold for this event. Set a collective target as a cohort of the total number of unique users who have posted #CheveningRelay entries to Instagram. As a reminder of their time at Chevening and to commemorate their participation in the relay, students were awarded a special keyring each. 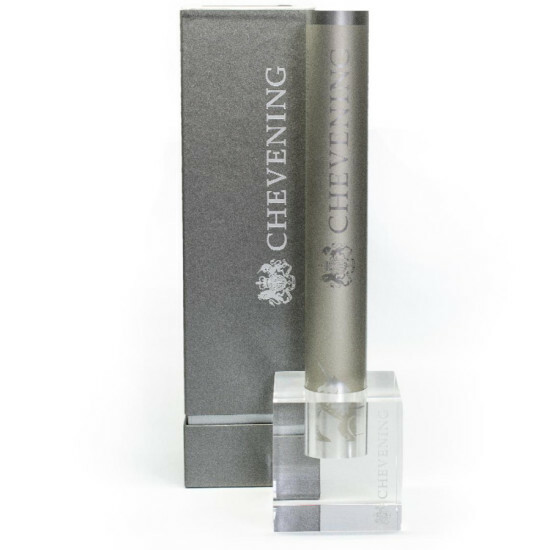 Touch of Ginger was commissioned to design and supply the keyring which takes the form of a miniature baton machined from solid aluminium bar, laser engraved with the Chevening crest. 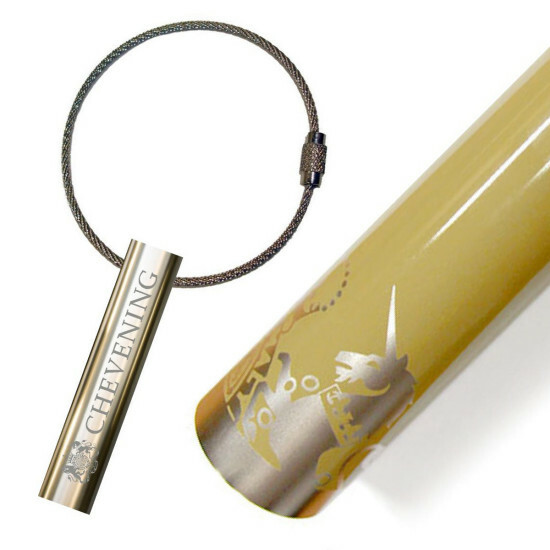 In honour of the forthcoming Olympic Games and the British love of sporting occasions, Chevining also launched a relay for Chevening Alumni We have designed a special gold baton for alumni to work together to send round the world. 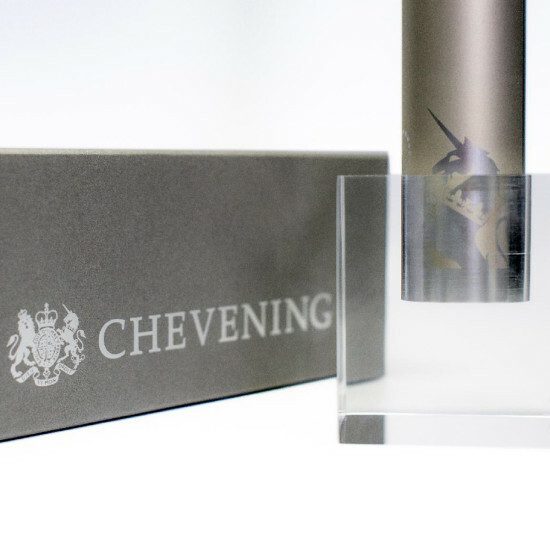 Chevening commissioned Touch of Ginger to design a trophy to be awarded to the most accomplished scholar of 2016. Continuing the relay baton theme, we proposed a unique baton printed silver on silver and set into a solid machined cube of polished clear acrylic for a smart contemporary look. To complete the presentation we produced a handmade shoulder box in silver grey board with silver block foiling.